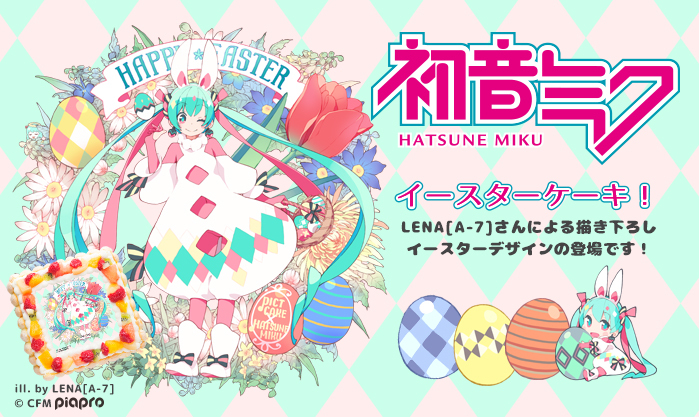 Are you a fan of Hatsune Miku and looking for a way to celebrate Easter this year? 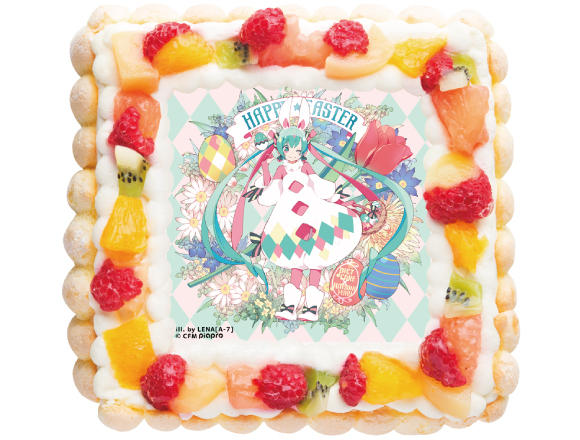 Then look no further as PICTCake, the photo cake company, have released a brand new Hatsune Miku design from the oven. Cake sales began yesterday, February 24th. The Hatsune Miku line of cakes from PICTCake are very popular indeed, having sold over 100 of them in one day for Christmas last year. The new design this time around was created by popular illustrator LENA[A-7], who was responsible for the main visual for Magical Mirai 2016. 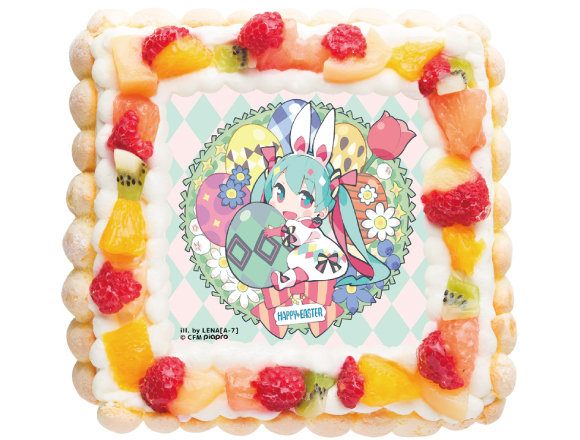 Hatsune Miku is dressed for the Easter occasion in a cute bunny outfit surrounded by colourful eggs for these two limited edition cake designs. And they don’t just look great, they taste great too – as can be expected from PICTCake. Each cake is baked in Hokkaido and put in a shock freezer. These quality cakes are fresh and packed full of delicious flavour. There’s 3 different sizes to choose from which can serve 2 to 16 people, so they are perfect for parties and celebrations of all kinds. Don’t miss out on these kawaii treats this Spring! ■Related Article: Hatsune Miku will now make doing your PC work less stressful! Giant limited edition Hatsune Miku cushion arrives!